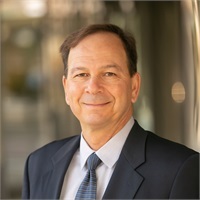 A longtime resident of the East Bay, Bernie is a member of the Financial Planning Association and the Society of Financial Service Professionals. He was recognized in 2017 and 2018 by the Financial Times as one of the nation's 400 Top Financial Advisors. Bernie formerly served on the Moraga Planning Commission and was the former Chair of the Moraga Beautification Committee. Bernie lives in Moraga and has two grown daughters, Christina and Jenny. He enjoys golf, hiking, camping, running, traveling, gardening, red wine, astrophysics (through his daughter Jenny), and local sports teams, with special affinity for the SF Giants. *Listing in this publication is not a guarantee of future investment success. This recognition should not be construed as an endorsement of the advisor by any client. 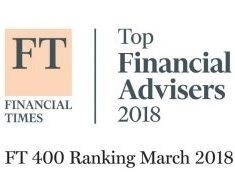 The Financial Times Top 400 Financial Advisors is an independent listing produced by the Financial Times. The FT 400 is based on data gathered from firms and verified by broker-dealer home offices, regulatory disclosures, and the FT's research. The listing reflects each advisor's performance in six primary areas. The factors are: 1. Assets under management; 2. AUM growth rate; 3. Years of experience; 4. Compliance record; 5. Industry certifications; 6. Online accessibility. Neither the brokerages nor the advisors pay a fee to the Financial Times in exchange for inclusion in the FT 400. Recognition from rating services or publications is no guarantee of future investment success. The Financial Times present the FT 400 as an elite group, not a competitive ranking. Working with a highly rated advisor does not ensure that a client or prospective client will experience a higher level of performance or results. These ratings should not be construed as an endorsement of the advisor by any client nor are they representative of any one client’s evaluations.